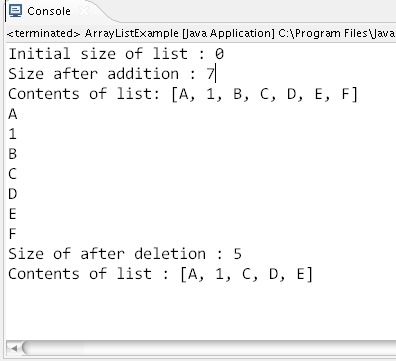 ArrayList is a simple Collection which is provided by the Java Collection Framework API. The class ArrayList is dynamic implementation of an array. ArrayList is like an array which can grow dynamically. System.out.println("Size of after deletion : "